Present for the first time at Maison & Objet tradefair in Paris in september 2012, the norwegian lighting brand, Northern Lighting, has become one that cannot be missed in our home decorations. We especially like the wall lamp « Snakkes » (translated from norwegian: « let’s talk») that you can use to write small messages on, or the hangling lamp « Scheisse » looking like a broken light bulb seen at the latest tradefair in Milan 2013. 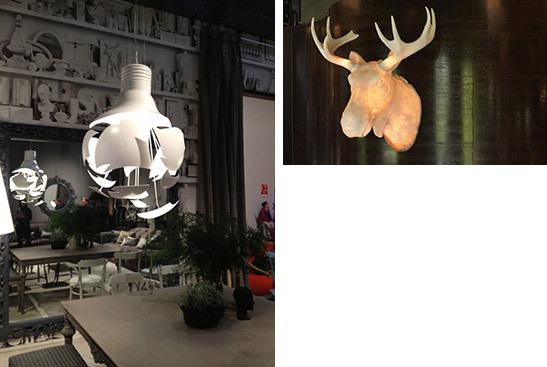 If you like a humoristic touch, we suggest the moose head wall lamp « Moo ». Previous post New life of a cloister Next post Transformation of an entrance hall. Ongoing project.